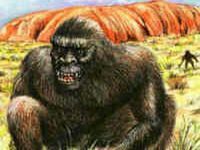 Legendary yowie hunter Dean Harrison has had some fascinating encounters with the mystical creature. 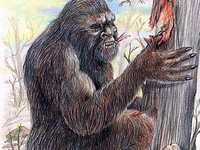 A YOWIE researcher says he was nearly killed by a yowie at Kilkivan six years ago. 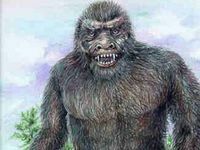 Dean Harrison has dedicated his life to hunting down the mythological beast and has described two very close encounters with the mysterious apelike creature. 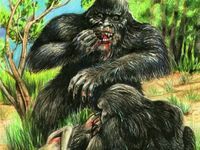 Our sister newspaper, The Queensland Times, has been hunting for evidence of the elusive beast in the Ipswich area after Ipswich was named a yowie hotspot. Harrison, who runs the Australian Yowie Research website, has been searching for yowies for more than 20 years. He has provided a recorded interview with a Steve Doyle, who on September 22, 2013 was driving with his wife on the Laidley-Rosewood Rd, near Ipswich, at dusk when he got one hell of a fright. My wife said 'that was a bear...that was hairy' and I said 'that is just plain weird'. "You don't have time to get your camera out.